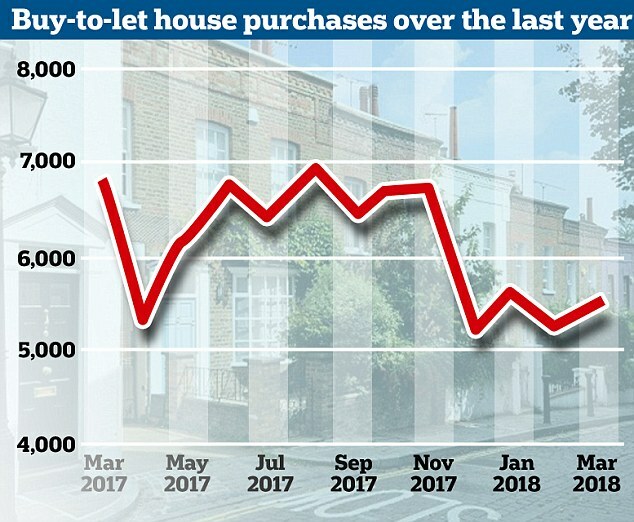 Investors are shunning buy-to-let as tax hikes and tougher mortgage rules squeeze landlords' returns, new figures suggest. There were just 5,500 new buy-to-let home purchase mortgages completed in March, some 19 per cent fewer than in the same month last year, according to trade body UK Finance. The association said the big drop is mostly down to a number of recent tax and regulatory changes, including the limiting of landlords’ mortgage interest tax relief, the introduction of a 3 per cent stamp duty surcharge, and tighter lending requirements introduced by the Bank of England. While some are still investing in buy-to-let properties, the barriers thrown in the way of prospective landlords have dramatically slowed the market. It is far more expensive to purchase a buy-to-let - with stamp duty on a £250,000 investment property totalling £10,000 for an investor compared to £2,500 for an owner occupier - and it is both harder to get a mortgage and landlords face bigger income tax bills on rent. John Eastgate, of OneSavings Bank, said: ‘The purchase market was always most likely to bear the brunt of these changes, and today’s figures endorse that. HOW HAS BUY-TO-LET CHANGED IN THE PAST TWO YEARS? 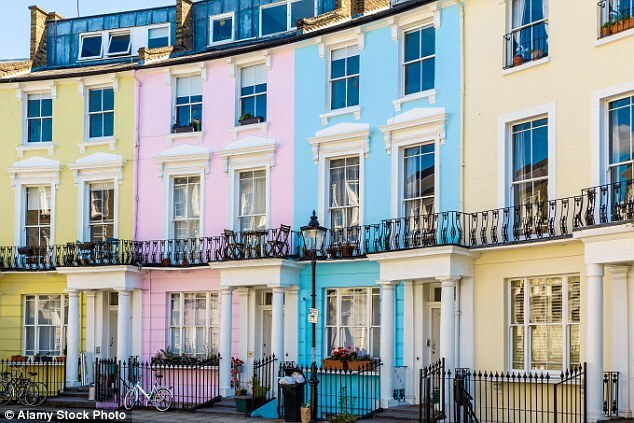 Former Chancellor George Osborne first announced a tax raid on landlords in 2015, stating the move was designed to support home ownership amid claims that landlords were scooping up properties and making it harder for hopeful first-time buyers to compete. Intending to put a stop to this, the Government slapped a 3 per cent surcharge on stamp duty payable on new buy-to-let purchases from April 2016. This trebled the tax bill compared to residential property in some cases. A further change arrived in April last year, as landlords began to lose their tax relief under a rule known as Section 24, which also forces them to pay tax on their rental income rather than just on their profit after mortgage costs. Furthermore, the Bank of England also clamped down on mortgage lenders, forcing them to require landlords to earn a much higher ratio of rental income compared to their mortgage payments. In October last year, further rules were brought in for landlords with four or more mortgaged properties to ensure their debt levels are not too high. Eastgate added that he sees buy-to-let as now being a ‘two speed’ market, with casual landlords exiting and professionals picking up the slack. This is in line with research conducted by Simple Landlords Insurance, which found that while a third of landlords with just one buy-to-let property are planning to sell and give up on buy-to-let, 38 per cent of landlords who own two or more properties say they are planning to buy at least one more in the coming year. In response to the recent tax and regulatory changes, property education company Progressive Property this week launched a petition urging Government to reintroduce full mortgage interest relief and drop the three per cent stamp duty surcharge introduced two years ago. The petition has gained 7,500 signatures in 48 hours, 2,500 away from the point by which the Government is obligated to respond. Despite the harsher regulatory and tax environment, buy-to-let yields rose in the second half of 2017 in every region except London, which was the only region to see rental income fall. The average gross rental yield on buy-to-let hit 5.2 per cent in the second half of 2017, according to Lloyds Banking Group's buy-to-let lender BM Solutions. James Cameron, director of property management company Vesper Homes, said: ‘Many investors, both from the UK and overseas, are holding back from investing in London at present. The UK Finance monthly figures also revealed that lending to home movers dropped over the course of the year. There were 28,400 new home mover mortgages completed in March this year, some 7.8 per cent fewer than in 2017. However, the number of first-time buyers remained largely the same: 31,200 new first-time buyer mortgages were completed in the month, just 1.9 per cent fewer than in the same month a year earlier. The amount lent to first-time buyers meanwhile increased by 2 per cent to £5.1billion, meaning those buying their first homes are having to borrow more. Mike Scott, of estate agent Yopa, believes that the first-time buyer market may have been helped by mortgage lenders relaxing their lending criteria, with a reduction in the average first-time buyer deposit and increase in the average loan-to-value ratio. “It’s great to see first-time buyers stay active in the market and in turn, stimulate a greater breadth of lending. He added that the drop in the number of buy-to-let purchases may also have helped those looking to buy their first house. ‘This has reduced competition from buy-to-let investors for the types of properties bought by first-time buyers,’ he said. Remortgaging also saw a sharp decline over the past year, with 32,400 new homeowner remortgages completed in March, 12 per cent fewer than in the same month last year. Leaf added that as the numbers are for March, and as such reflect buying decisions made at the end of last year and the beginning of this year, he wouldn’t expect to see dramatic change in the coming months. 'The market is continuing its steady process without a major correction in sight one way or the other,' he said. Separate figures from the Bank of England show that gross mortgage lending in the first quarter of 2018 was £61.1billion, up 3.4 per cent from £59billion in the first quarter of 2017.